Our Embrace Her Legacy Academy is a personal development and leadership development program offered to young women (ages 14 – 19) in the New York City/tri-state area. Our program focuses on equipping young women with the tools needed to achieve unprecedented success in self-confidence, career, education and leadership. Our goal is to ignite a powerful and emotionally healthy relationship with self while using that as the foundation to realize personal and professional goals. ​Our curriculum is an intensive series of personal development and leadership development classes offered from July 8th to July 19th, and 11am-3pm each day excluding the weekends. 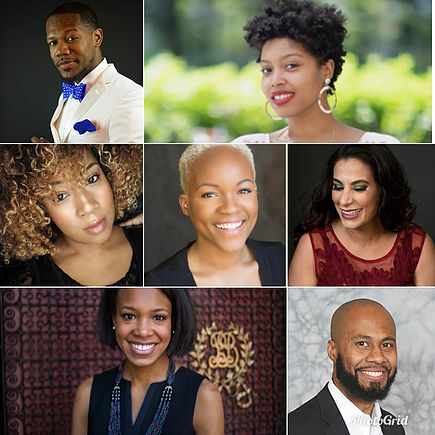 The program also offers students the opportunity to enhance their professional networks by connecting students to esteemed professional women and men who will serve as guest instructors for select classes. Students – learn how to say “good-bye” to living with fear, not knowing what you want, not feeling good enough, or being around negative people who don’t understand you. Almost EVERY student who has graduated from this program has voted it as a life-changing experience. ​Our goal is to have every girl learn to defeat her “inner saboteur” and live out a purpose-driven legacy. 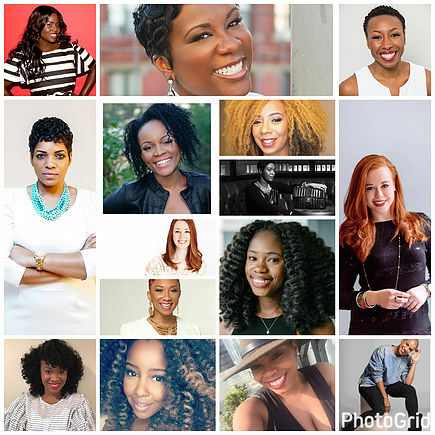 A hand-selected, diverse group of notable professional women and men will serve as guest instructors. Mentorship is one of our core values. Our guest instructors not only extend their valuable knowledge and experience but also make themselves available to develop mentorship relationships with students. All students in our program also gain the opportunity to be personally mentored by our founder and lead instructor of our programs, Maria I. Melendez. Because our course curriculum is transformative, we appeal to high schoolers and collegiate women which broadens our opportunity for impact. Our environment is one of sisterhood, giving girls the opportunity to connect. We have a proven track record of instilling confidence in young women during the challenging times of teenage years where parents may be encountering distance from teens. Our program seeks to eradicate these statistics. The content of our program covers a variety of issues young women are confronted with from emotional wellness to setting healthy boundaries to choosing a desirable career path. This is a safe-space for students to talk and learn from positive role-models. Get access to professional mentorship by our founder and other esteemed professionals in our network. The 7 Major Keys to Slaying Your Goals (Vision Board MastHERclass) – Students will engage in proven strategies to effectively define, set and achieve personal and professional goals. The Laws of Leadership – Strategic leadership principles for students to learn how to lead their lives, organizations and teams. Classes begin Monday, July 8th, 2019 and conclude July 19th, 2019 (excluding weekends). In order to be considered for the program, all interested applicants must complete the application form below. Once the applicant submits her application, one of our staff members will reach out via email to qualified applicants to set-up a phone interview or request any additional information. Following the phone interview a final decision of the applicant’s status will be made and she will be notified via email whether she has been accepted to the program. Once accepted into the program, the applicant has (14) days from the date of receiving their acceptance letter to provide the entire tuition payment and the signed parent/guardian consent form in order to secure her spot in the program. The tuition invoice will be sent via email and can be paid via debit/credit card or check written out to The Embrace Her Legacy Foundation. All accepted applicants, MUST submit our signed Parent/Guardian consent form upon acceptance into the program (unless 18 years or older). The form will be attached to the acceptance email. Full-ride and partial scholarships are available which are first-come, first-serve basis. Students will have to will have to submit a short essay and copy of latest report card in order to qualify for a scholarship.